76197XLHTB - Gorilla Lug Nuts - Bagged Sets - MiataRoadster - Stay tuned with MiataRoadster! Gorilla offers you the most complete selection of high-quality lug nuts available on the market today! 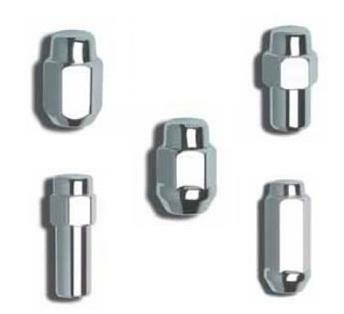 Gorilla provides a full-line of lug nuts covering virtually every application. Gorilla also offers hard-to-find specialty lugs and washers for aftermarket wheel applications. Whatever you need in lugs, Gorilla’s got it! Gorilla Bagged Sets are sold PER SET OF 4. For 5 lug wheels, you will need to order quantity 5 (4 lugs per pack x 5 = 20 lugs).